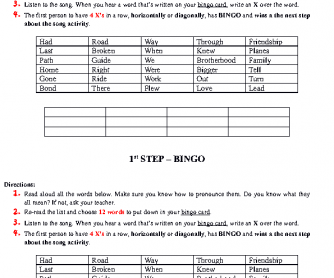 This worksheet starts with a Bingo game as the first step then filling the gaps with the missing words from the music, to finish you will find a Pop Wizz about the song studied above. 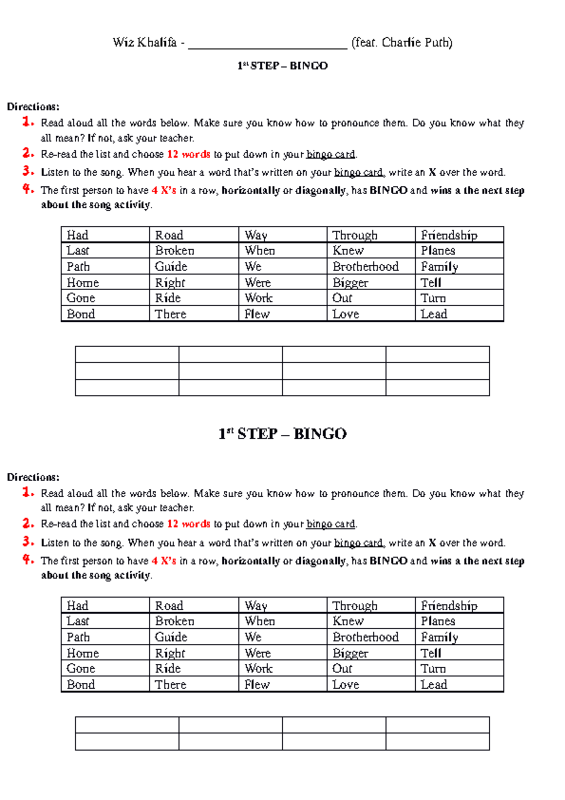 It will take you at least an hour to finish everything. Hope you all enjoy it!